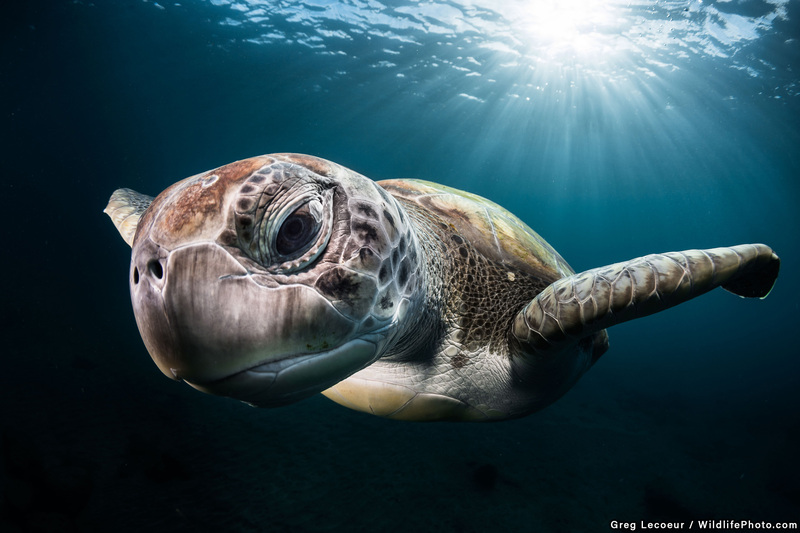 The results from our 2016 Wildlife Portraits photo contest. The Margay is entirely nocturnal and hunts in the trees. It weighs about 3.5 kilograms and is one of two cat species, so adept at life in the trees, that it can descend a vertical tree trunk headfirst. It is almost never seen. 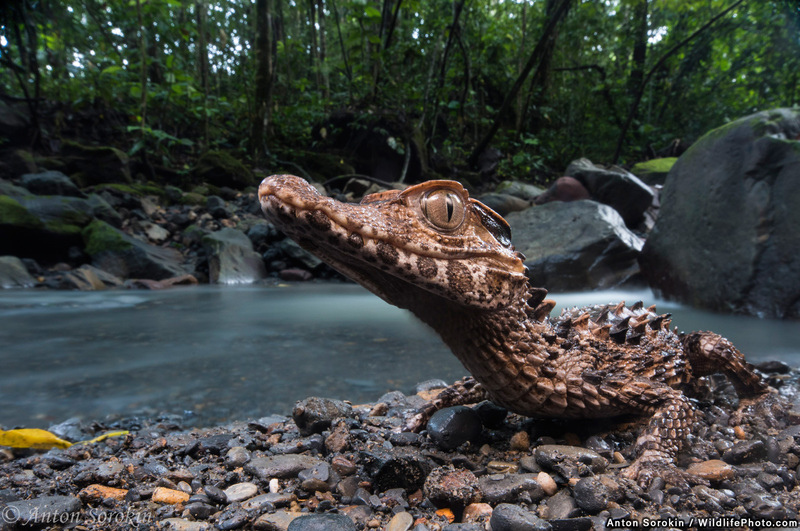 A Smooth fronted caiman (Paleosuchus trigonatus) from the Peruvian jungle. They are the 2nd smallest crocodilian in the world, and make their homes in small jungle streams and may spend much of their time away from water. 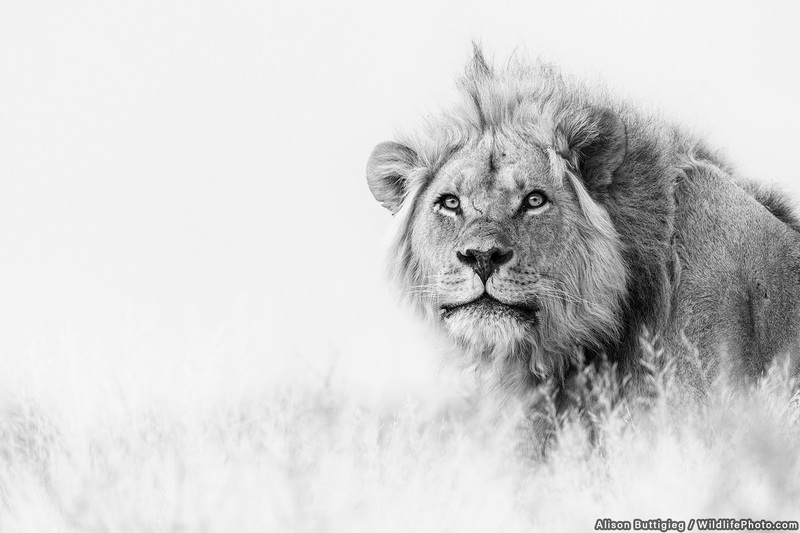 A Kalahari Lion - superbly specialised in eking out an existence in the desert. Lion numbers are declining due to many reasons, amongst them trophy hunting - a topic that raises many a debate. With this photo the intention was to demonstrate that their magnificent faces belong alive in the wild rather than than stuffed and mounted on a wall. This simple lion head composition, dominating a wall of sky and a mantlepiece of grass is how they should be admired. No glass eyes can replicate this lion's inquisitive eyes when he gazed at us every now and then while we followed him on patrol one early morning in the Kgalagadi Transfrontier Park in South Africa. It was such an immense privilege to have been allowed to share his space. 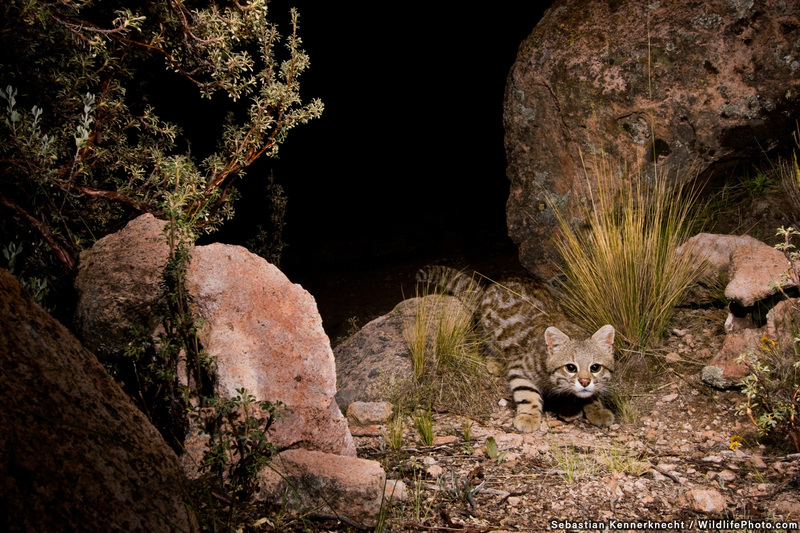 Pampas Cat (Leopardus colocolo) in altiplano at night, Ciudad de Piedra, western Bolivia. This image was taken as part of the Cat in Thin Air project, a photojournalistic endeavor showcasing the endangered Andean Mountain Cat with concrete goals to help its conservation. The Pampas Cat and the Andean Cat live together in the high Andes of Peru, Chile, Bolivia, and Argentina. 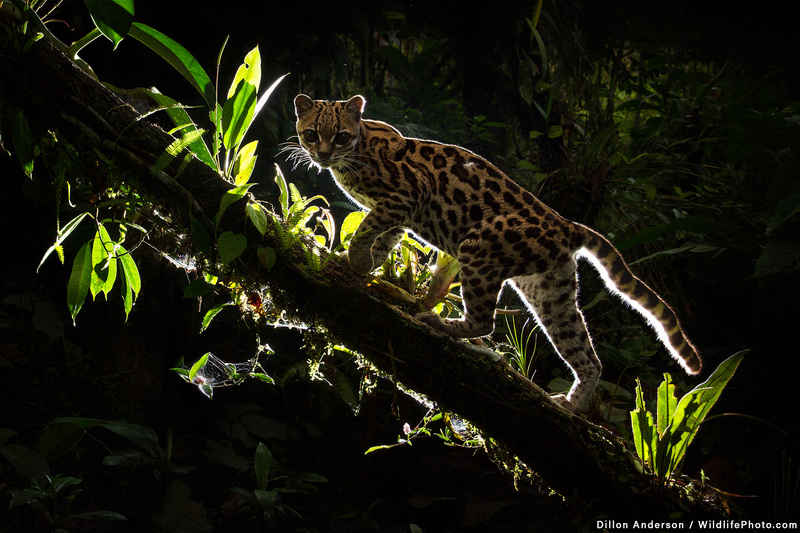 To get images of both cats, I used my own customized SLR camera traps, which I set up at locations 13,000 feet and higher in the Andes of Bolivia. Since it’s possible to miss an animal by just a few feet, choosing the exact right location for the camera traps was incredibly important (I wouldn’t even know if I had missed a possible photograph). This spot was ideal to get a Pampas Cat picture since it was a small funneling canyon leading out of a valley in which the cats liked to hunt. I set the power output on the flashes to overpower any ambient light, to not only properly expose the image during all parts of the day, but also to provide a glimpse of the amazing environment of the Bolivian altiplano. After two weeks, all I had was a picture of a Pampas Cat’s rear end. Persistence is key though with camera traps. Two more weeks passed with no results. Finally, with only two days left on the expedition, everything came together when this adult Pampas Cat walked through the camera trap at night. I did not want to go bird photography this particular morning it was cold and windy. We had a big storm the day before. So I did go and sat in the middle of the field waiting for something to happen.... it did happen!!!!! 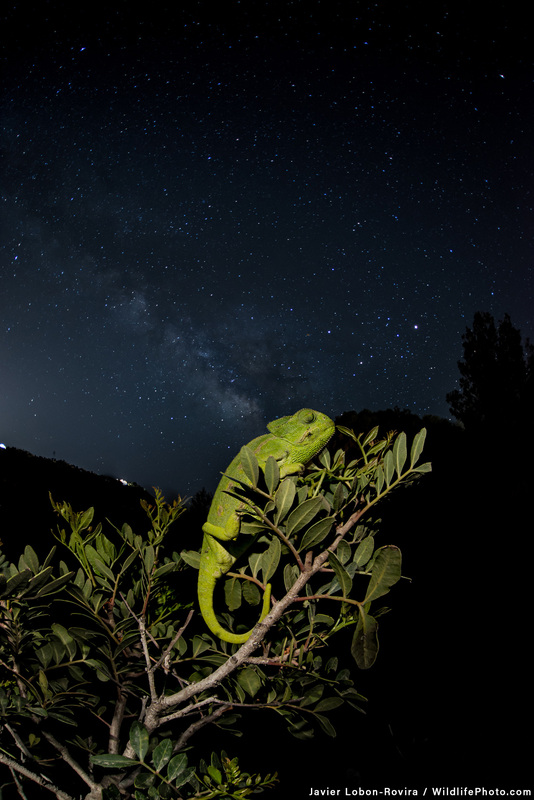 A summer night in the South of Spain is a great place to photograph the stars on the firmament. During a perfect dark night some silhouette brigthed between the bush when I turned on my head lamp to make focus with my camera. That silhouette was this beautifull unique European chamaleon specie (Chamaeleo chamaleon). That bright silhouette of chamaleons is due to they lose their striking colours when they are sleeping to better camouflage to predators. Sleep tight! Hyla arborea - little grren leaf frog - looking out from its leaf shelter. 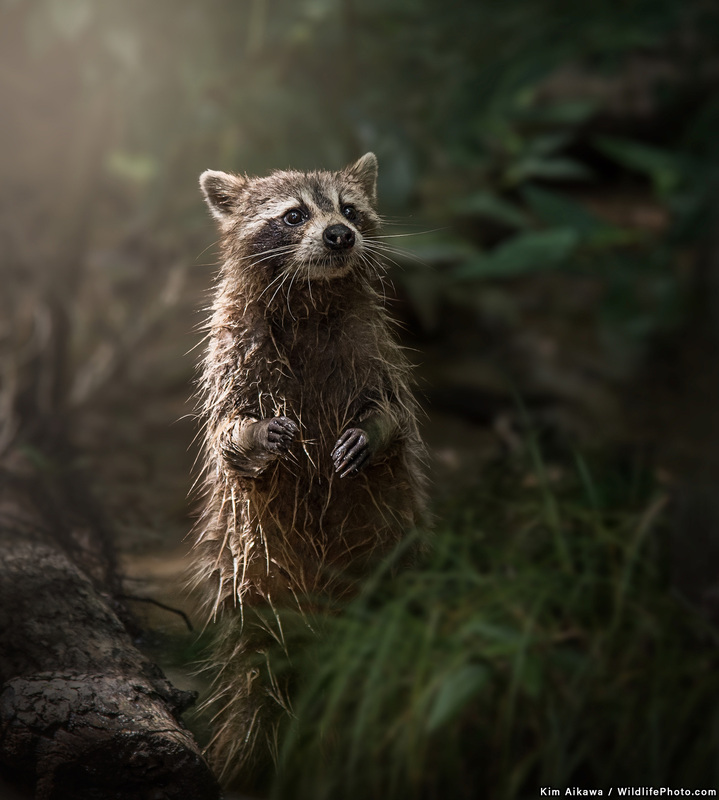 This little guy was coming out of the swamp in Louisiana during a swamp tour. The light was just right for a great shot of his wet fur. 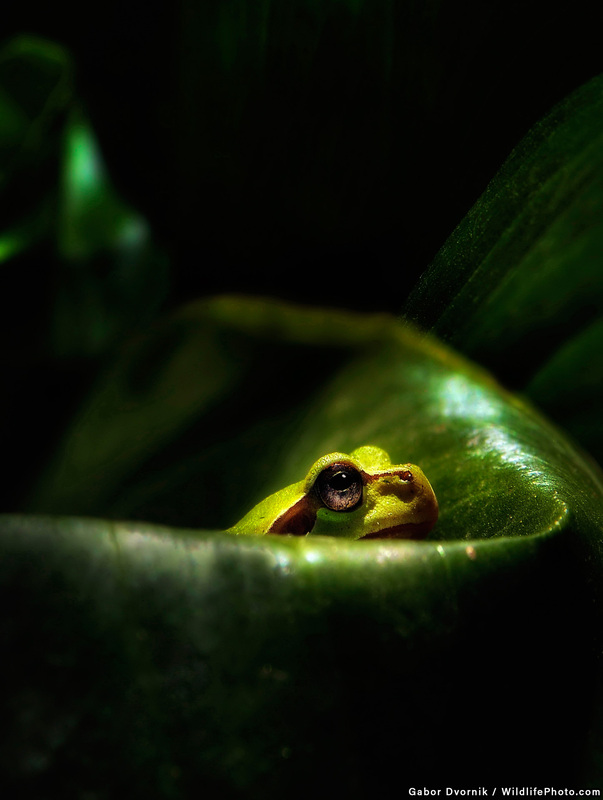 The devil in the rainforest. A young Tasmanian devil climbs over an old log in the rainforest on North-West Tasmania. 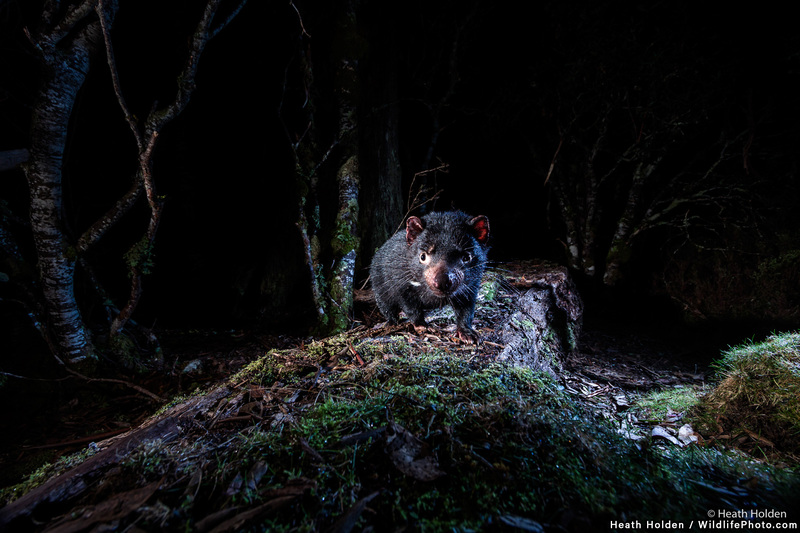 Photographed while working on a Tasmanian devil personal project using camera traps to photograph the species in the natural habitat, I have got 3 shots in 12 months at this location. This endangered species has never before been photographed in this depth. 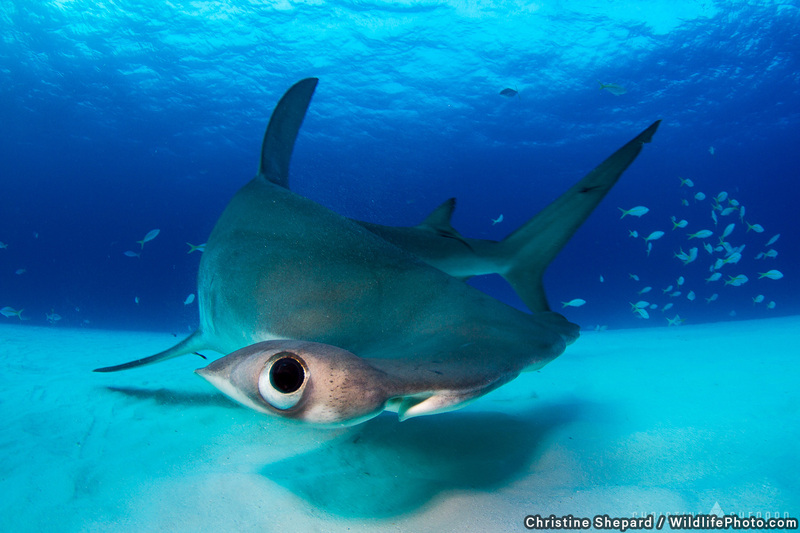 Great Hammerheads are one of the most highly specialized and evolved sharks in our oceans. 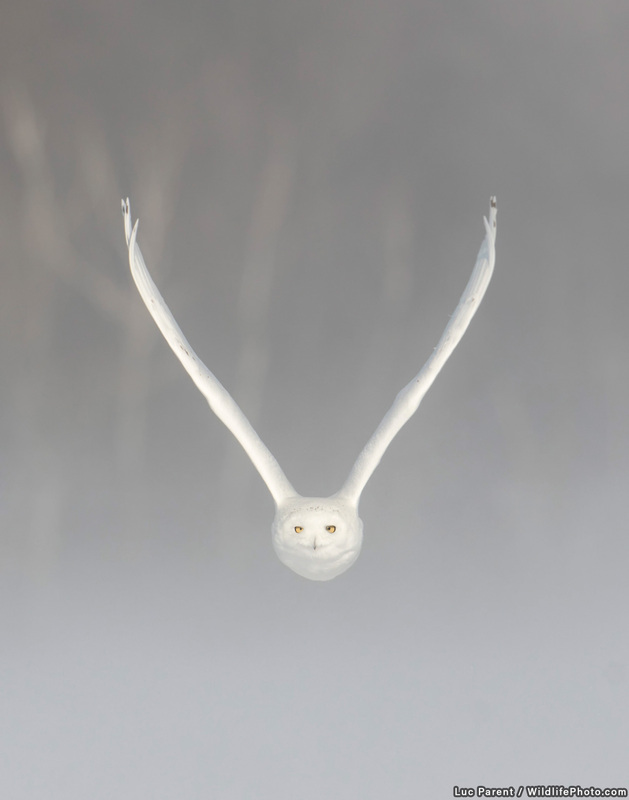 Their eyes are located at opposite ends of its hammer, or cephalofoil, which provides a greater field of vision when hunting. During a dive trip in Bimini to see these endangered animals in their natural habitat, I saw first-hand how flexible and fast they can be. In a split second, this individual changed it course upon catching scent of a piece of bait nearby, passing by within inches of my camera.